Complex systems are often networked, and biology is no exception. Following on from the genome sequencing projects, experiments show that proteins in living organisms are highly connected, which helps to explain how such great complexity can be achieved by a comparatively small set of gene products. At a recent conference on interactome networks held outside Cambridge, UK, the most recent advances in research on cellular networks were discussed. This year’s conference focused on identifying the strengths and weaknesses of currently resolved interaction networks and the techniques used to determine them – reflecting the fact that the field of mapping interaction networks is maturing. The preparation of sufficient amounts of high-quality protein samples is the major bottleneck for structural proteomics. The use of recombinant proteins has increased significantly during the past decades. The most commonly used host, Escherichia coli, presents many challenges including protein misfolding, protein degradation, and low solubility. A novel SUMO fusion technology appears to enhance protein expression and solubility (www.lifesensors.com). Efficient removal of the SUMO tag by SUMO protease in vitro facilitates the generation of target protein with a native N-terminus. In addition to its physiological relevance in eukaryotes, SUMO can be used as a powerful biotechnology tool forenhanced functional protein expression in prokaryotes and eukaryotes. During aging the protein turnover is slowed down, therefore it is easier to accumulate aggregates of dysfunctional proteins. Therefore, a highly dynamic tissue such as skeletal muscle requires a rapid and efficient system for the removal of altered organelles, the elimination of protein aggregates, and the disposal of toxic products. the autophagy-lysosome machinery in vivo and in vitro. excessive autophagic flux in denervated muscle and leads to atrophy. correlated with the important loss of muscle tissue due to an atrophic condition. An unbalanced autophagy flux is highly detrimental for muscle, as too much induces atrophy whereas too little leads to muscle weakness and degeneration. Muscle wasting associated with autophagy inhibition becomes evident and symptomatic only after a number of altered proteins and dysfunctional organelles are accumulated, a condition that becomes evident after months or even years. On the other hand, the excessive increase of autophagy flux is able to induce a rapid loss of muscle mass (within days or weeks). Alterations of autophagy are involved in the pathogenesis of several myopathies and dystrophies. Defective as well as excessive autophagy is harmful for muscle health and has a pathogenic role in several forms of muscle diseases. This protein complex in the cytosol may or may not be related to the role of these proteins in regulating mitochondrial function or oxidative stress in vivo. Three models for the role of the PPD complex. In this issue of the JCI, Xiong et al. 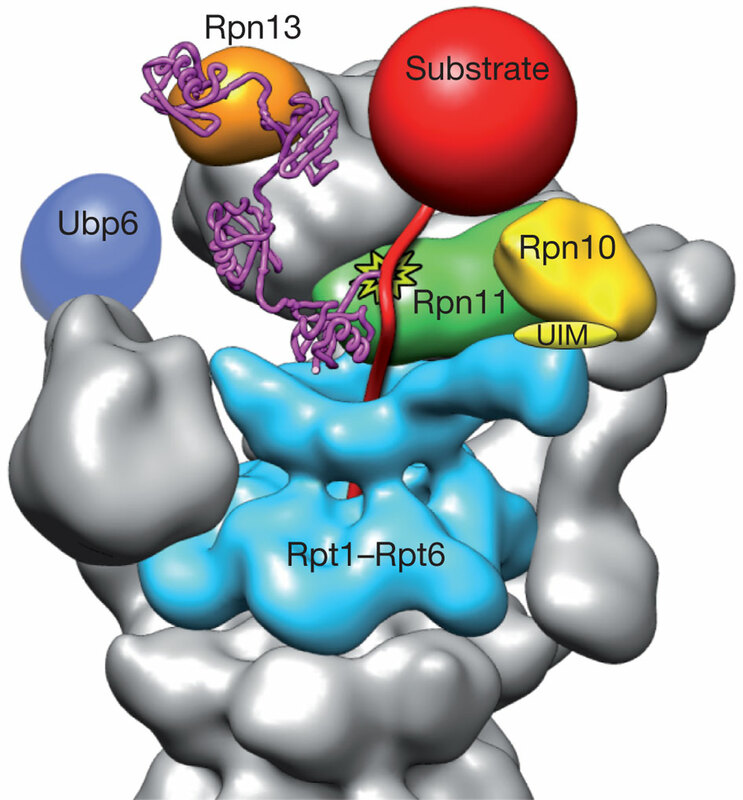 report that Pink1, Parkin, and DJ-1 bind to each other and form a PPD E3 ligase complex in which Pink1 and DJ-1 modulate Parkin-dependent ubiquitination and subsequent degradation of substrates via the proteasome. Previous work suggests that the Pink1/Parkin pathway regulates mitochondrial integrity and promotes mitochondrial fission in Drosophila. Nitric oxide (NO) is implicated in neuronal cell survival. However, excessive NO production mediates neuronal cell death, in part via mitochondrial dysfunction. Here, we report that the mitochondrial ubiquitin ligase, MITOL, protects neuronal cells from mitochondrial damage caused by accumulation of S-nitrosylated microtubule associated protein 1B-light chain 1 (LC1). S-nitrosylation of LC1 induces a conformational change that serves both to activate LC1 and to promote its ubiquination by MITOL, indicating that microtubule stabilization by LC1 is regulated through its interaction with MITOL. Excessive NO production can inhibit MITOL, and MITOL inhibition resulted in accumulation of S-nitrosylated LC1 following stimulation of NO production by calcimycin and N-methyl-D-aspartate. LC1 accumulation under these conditions resulted in mitochondrial dysfunction and neuronal cell death. Thus, the balance between LC1 activation by S-nitrosylation and down-regulation by MITOL is critical for neuronal cell survival. Our findings may contribute significantly to an understanding of the mechanisms of neurological diseases caused by nitrosative stress-mediated mitochondrial dysfunction. The demonstration that a-synuclein is degraded by both proteasome and autophagy indicates a possible linkage between the dysfunction of the UPS or ALP and the occurrence of this disorder.The fact that mutant a-synucleins inhibit ALP functioning by tightly binding to the receptor on the lysosomal membrane for autophagy pathway further supports the assumption that impairment of the ALP may be related to the development of Parkinson’s disease. In this review, we summarize the recent findings related to this topic and discuss the unique role of the ALP in this neurogenerative disorder and the putative therapeutic potential through ALP enhancement. Pan Y, Kondo S, Le W, Jankovic J. The role of autophagy-lysosome pathway in neurodegeneration associated with Parkinson’s disease. Brain 2008; 131: 1969-1978. doi:10.1093/brain/awm318. A direct link between UPS dysfunction and neurodegeneration has been provided by recent findings that genetic mutations in UPS components cause several rare, familial forms of neurodegenerative diseases. Furthermore, it is becoming increasingly clear that oxidative stress, which results from aging or exposure to environmental toxins, can directly damage UPS components, thereby contributing to the pathogenesis of sporadic forms of neurodegenerative diseases. aberrant K48-linked polyubiquitination resulting from impaired E3s or DUBs alters protein degradation by the proteasome, leading to accumulation of toxic proteins and subsequent neurodegeneration. 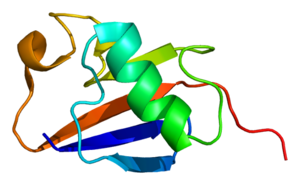 The proteasomes could be directly damaged by oxidative stress or might be inhibited by protein aggregation, which exacerbates the neurotoxicity. aberrant monoubiquitination or K63-linked polyubiquitination resulting from impaired E3s or DUBs alters crucial non-proteasomal functions, such as gene transcription and protein trafficking, thereby causing neurodegeneration without protein aggregation. These drugs can lead to a number of side effects in muscle, including muscle fiber breakdown; however, the mechanisms of muscle injury by statins are poorly understood. We report that lovastatin induced the expression of atrogin-1, a key gene involved in skeletal muscle atrophy, in humans with statin myopathy, in zebrafish embryos, and in vitro in murine skeletal muscle cells. In cultured mouse myotubes, atrogin-1 induction following lovastatin treatment was accompanied by distinct morphological changes, largely absent in atrogin-1 null cells. In zebrafish embryos, lovastatin promoted muscle fiber damage, an effect that was closely mimicked by knockdown of zebrafish HMG-CoA reductase. Moreover, atrogin-1 knockdown in zebrafish embryos prevented lovastatin-induced muscle injury. Finally, overexpression of PGC-1α, a transcriptional coactivator that induces mitochondrial biogenesis and protects against the development of muscle atrophy, dramatically prevented lovastatin-induced muscle damage and abrogated atrogin-1 induction both in fish and in cultured mouse myotubes. Collectively, our human, animal, and in vitro findings shed light on the molecular mechanism of statin-induced myopathy and suggest that atrogin-1 may be a critical mediator of the muscle damage induced by statins. 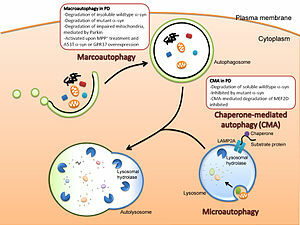 Macroautophagy (hereafter referred to as autophagy) is a cellular degradation system in which cytoplasmic components, including organelles, are sequestered by double membrane structures called autophagosomes and the sequestered materials are degraded by lysosomal hydrolases for supply of amino acids and for cellular homeostasis. Although autophagy has generally been considered nonselective, recent studies have shed light on another indispensable role for basal autophagy in cellular homeostasis, which is mediated by selective degradation of a specific substrate(s). p62 is a ubiquitously expressed cellular protein that is conserved in metazoa but not in plants and fungi, and recently it has been known as one of the selective substrates for autophagy. This protein is localized at the autophagosome formation site and directly interacts with LC3, an autophagosome localizing protein . Subsequently, the p62 is incorporated into the autophagosome and then degraded. 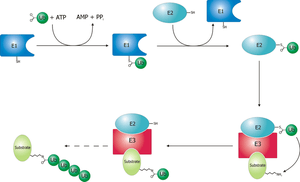 Therefore, impaired autophagy is accompanied by accumulation of p62 followed by the formation of p62 and ubiquitinated protein aggregates because of the nature of both self- oligomerization and ubiquitin binding of p62. This leads to altered gene transcripton, altered protein trafficking, and plays a role in neurodegenative disease, and muscle malfunction. This was a very interesting post. Learned a lot from it. Thank you.